Tying the knot in a place away from home has become very popular among couples during the last few years. And it actually makes a lot of sense… Because a destination wedding offers you the opportunity to create an extraordinary experience not only for yourselves but also for your guests. 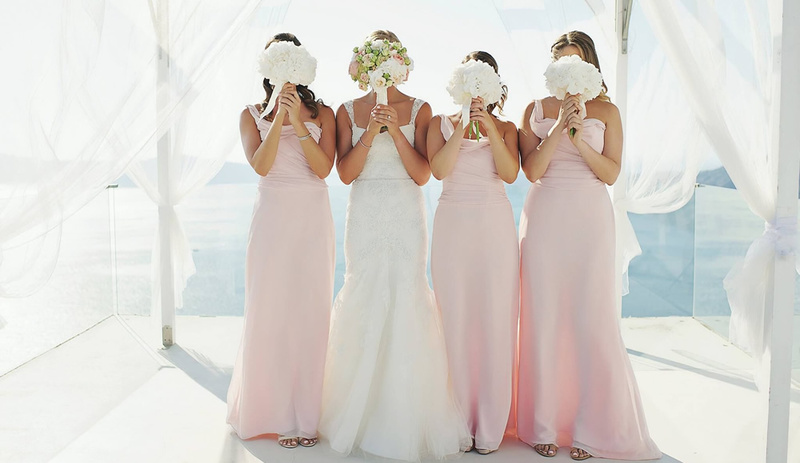 Especially, if you have in mind: Destination wedding Greece! If you have ever fantasised about getting married in a remote place, dare to explore it! So, once you have picked your destination, you need to get in action. There are many things to consider in order to make your destination wedding an exceptional event that both you and your guests will cherish for the rest of your life. During the planning process for a destination wedding you will soon get face to face with the “beast” of entertainment. What kind of music would accentuate the atmosphere you are aiming for? A DJ would cover your needs? What about some live music – maybe a band or a local music group? What should the music be when you first enter the venue of the party or the reception? Or the first dance song (assuming you don’t already have one)? All these questions reflect one fundamental concern: How will your wedding party remain memorable? In order to make sure you have the right answer to this question, it is imperative to seek the right support. And when it comes to planning and delivering entertainment for a destination wedding in Greece or anywhere else in the world, VIPARTIES are your best choice. Assist you in delivering the vision you have for that day: pick the right DJ from our team or book the right band and ensure the perfect coordination. Offer sound coverage with cutting-edge technical equipment to secure high-quality sound. Planning a wedding in Greece? Contact us and we will help you make your wedding unforgettable!